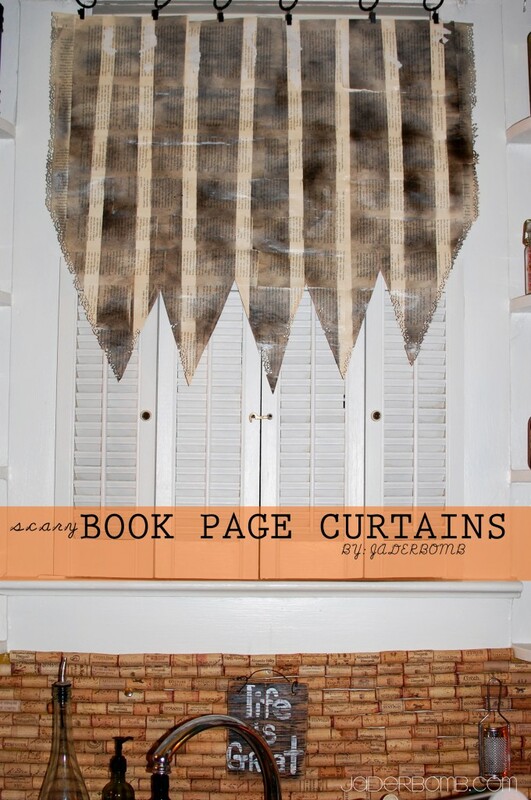 How much fun are these spooky book page curtains! 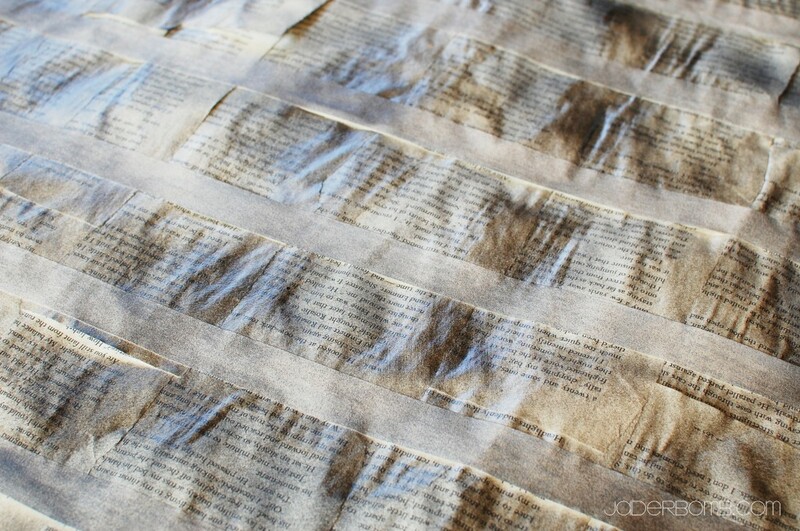 I have to say I never every thought I would make curtains for my kitchen using pages from a book. 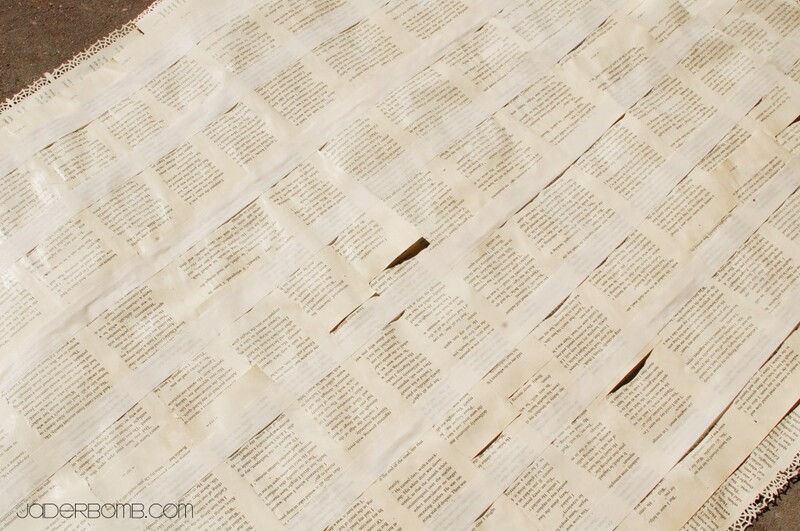 But, why not?If it’s temporary until Halloween is over then we need to bring the spirit indoors!Let’s get going so I can show you how I made them! (you do NOT have to buy the most expense one either! 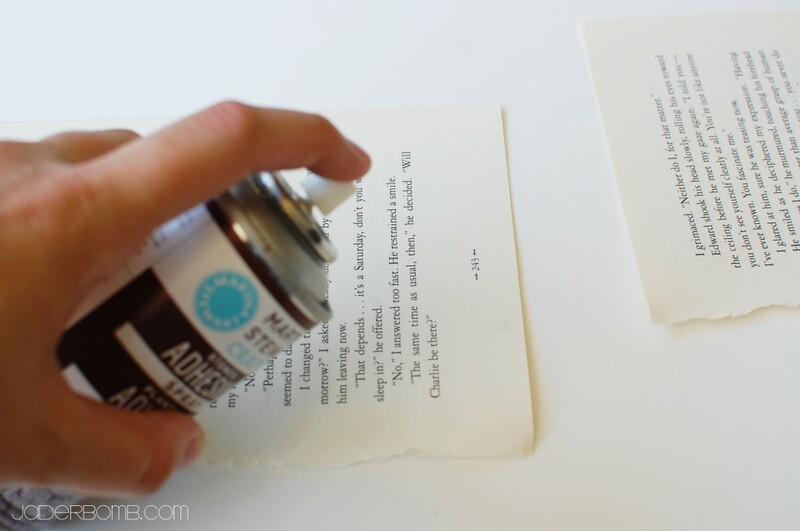 Spray the edge of your book pages with adhesive spray. This is what it will start to look like once you get rolling! Hint: Once my sheet got large enough I would bring it in the house and place it on top of the window to see how much bigger it needed to be. I could of measured it and done it the “correct” way but that’s no fun! Notice the edges are punched with my Martha Stewart HALLOWEEN puncher! 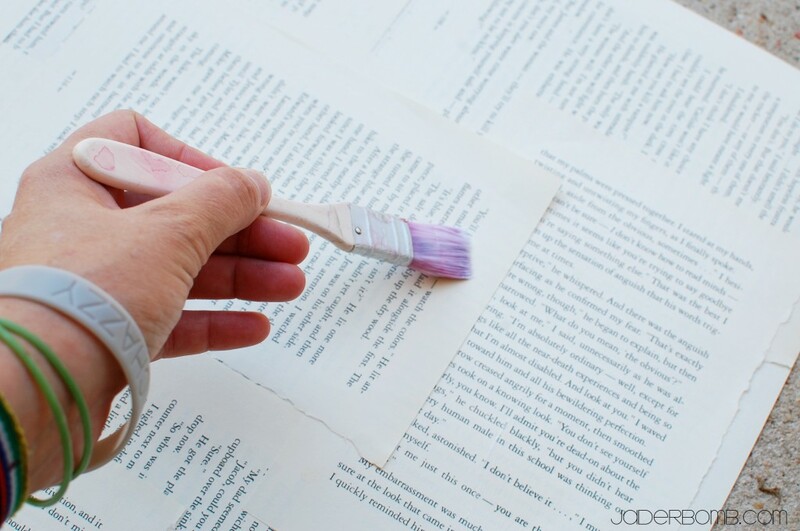 Once you have the correct size and you are done sticking pages together it’s time to break out the MOD PODGE! This is where you insert a BIG wahoooo. 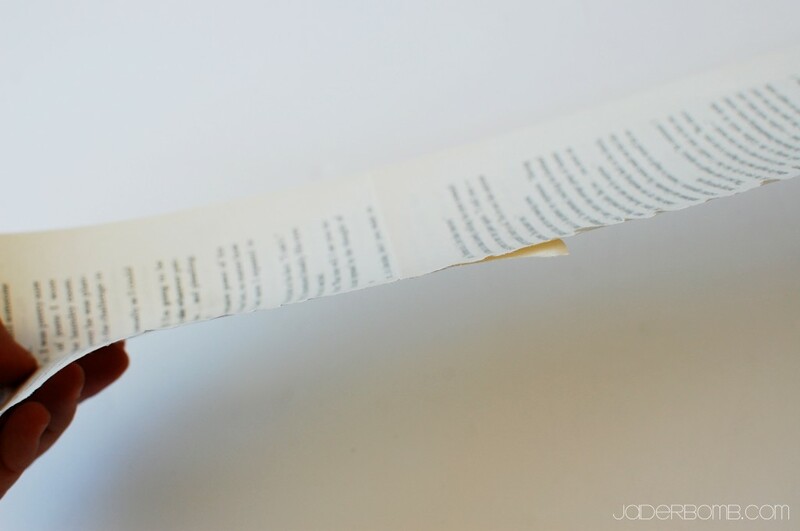 You don’t want to press too hard because it will tear the pages when you peel if off. 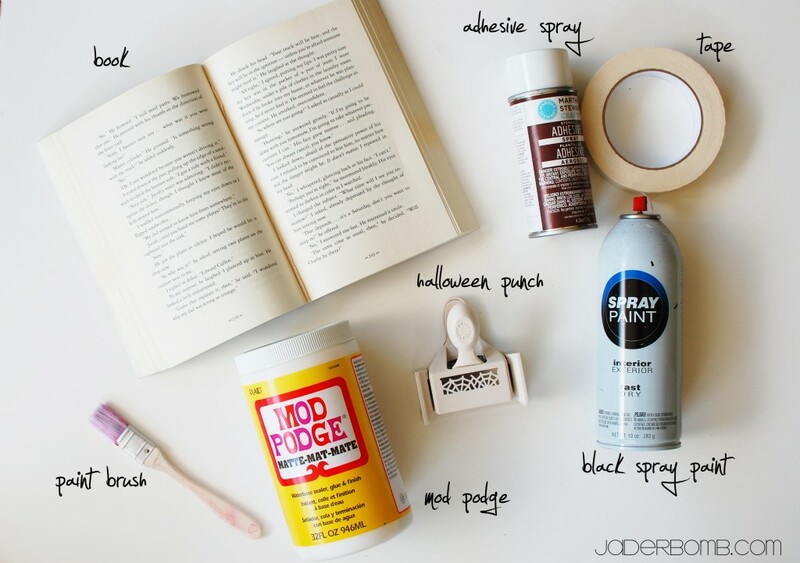 Spray your pages with black spray paint. 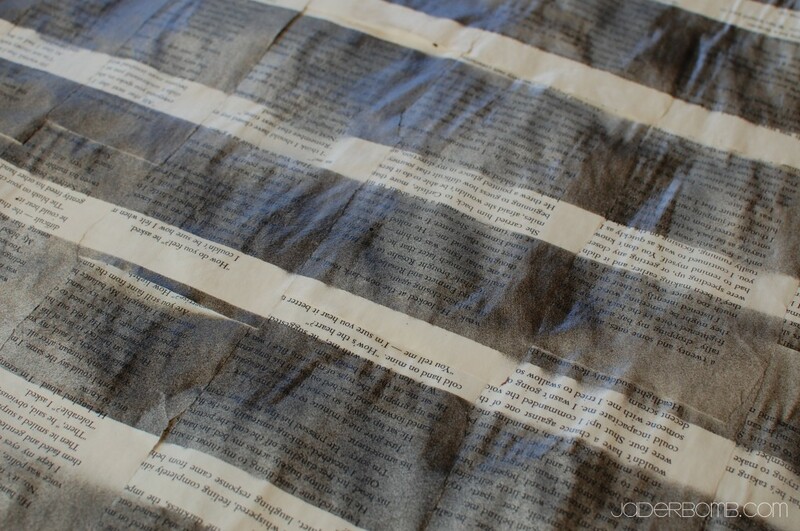 I didn’t spray a super thick coat because I wanted a washed, vintage look. You could spray it till it’s completely black if you want that look. Keep in mind you can spray with whatever color you like. Thank goodness this was a scary Halloween look otherwise I would have “tossed” this project into the trash. When I was completely done with all of the steps I put it up in my kitchen like the picture below. I drew where I needed to cut with a piece of chalk. I then took it down and VOILA! A spooky HALLOWEEN curtain! 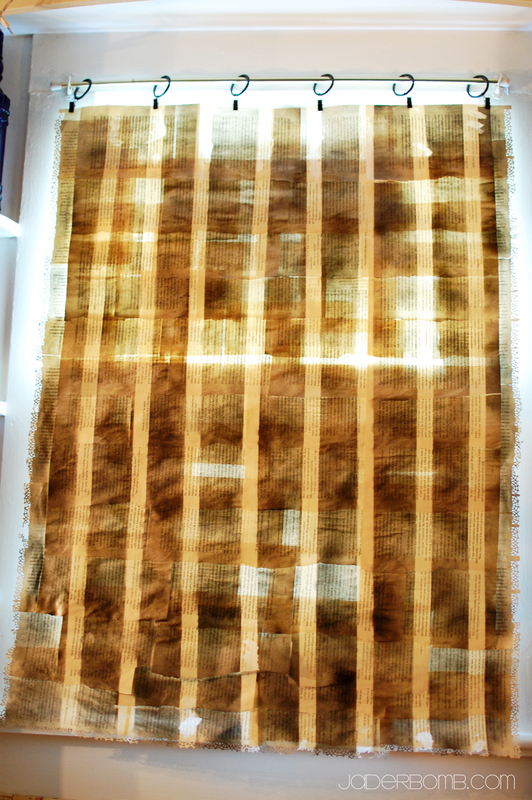 What I love the MOST about these curtains is how they look with light coming through them. It really makes our kitchen feel spooky. The great thing about this project is it’s practically FREE. It’s easy for anyone do to AND when the spooky holiday is over you can toss it without feeling bad. Although I might just keep mine up and stencil letters on it for THANKSGIVING. Yes, I love them that much. 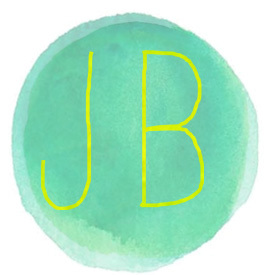 See ya in the next post Jaderbugs! What a great idea and project. I see so many possibilities here.